Today my blog turns 7 years old. Rather than gushing about how grateful I am etc. (though, I really am!) I thought I’d transport us to a place that has had a massive influence both on me as a person and on this blog: Venice, Los Angeles. Since I became old enough to drink in California one of my favourite places to sit with a good book and an ice cold glass of rosé wine is Zinique on the corner of Venice and Abbot Kinney Boulevard. 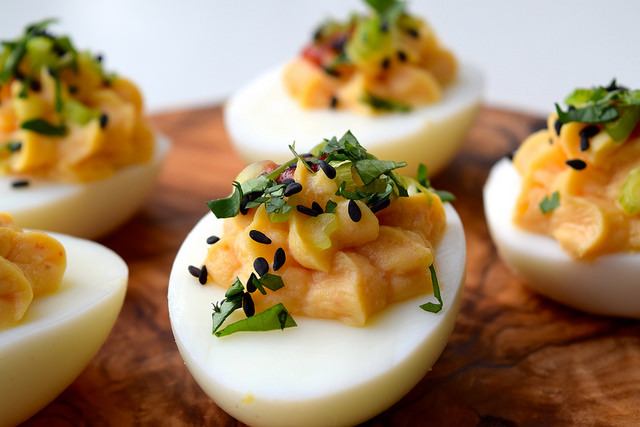 It was at Zinique I first had a plate of that eternally popular 70’s classic: devilled eggs. If you’re in L.A., Zinique is great. They have a good happy hour, wonderful bar and terrace. 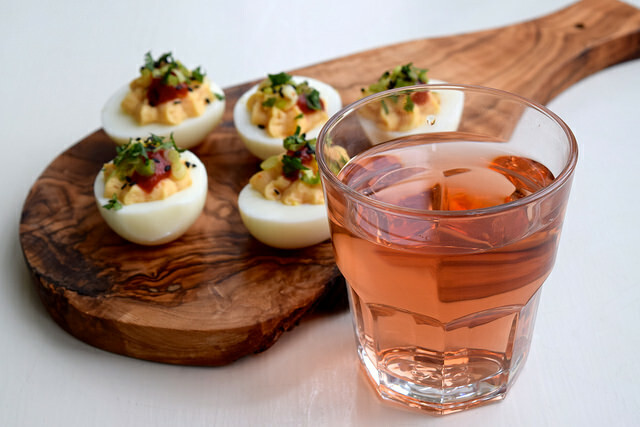 It has an effortless, France comes to Southern California theme, and along with the carefully and well curated wine list, they have wonderful bar snacks. Personally, I love the tomato and avocado toasts, and the French country pate and pickles (both served with imported French bread – I’ve never been a fan of American bread). 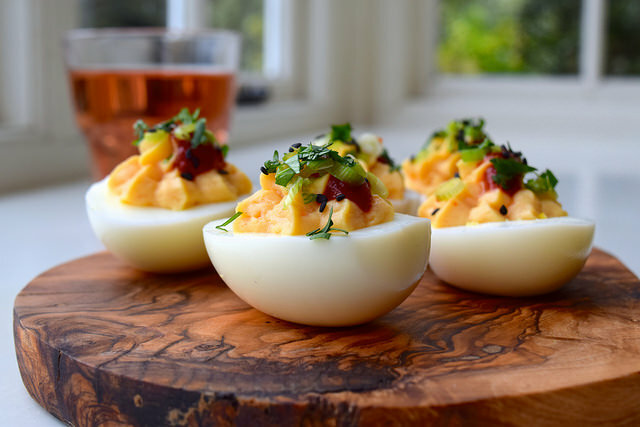 And their devilled eggs. 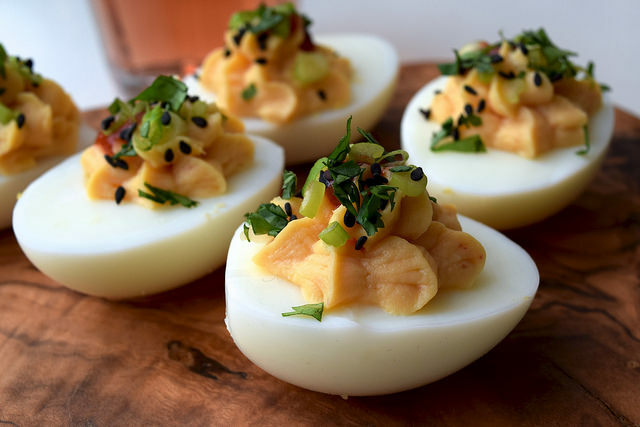 Their classic devilled eggs are delicious. They’re not Asian style (I went down the Asian flavoured route based off what I’ve got in the fridge at the moment), but I thought the whole ‘using Asian ingredients in classic recipes’ thing perfectly evokes the Southern Californian vibe that has infected my cooking since I first stepped off the plane in 2012. 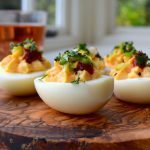 After work this evening, whip up a couple of these eggs, pour a couple of glasses of your favourite wine and help me celebrate. 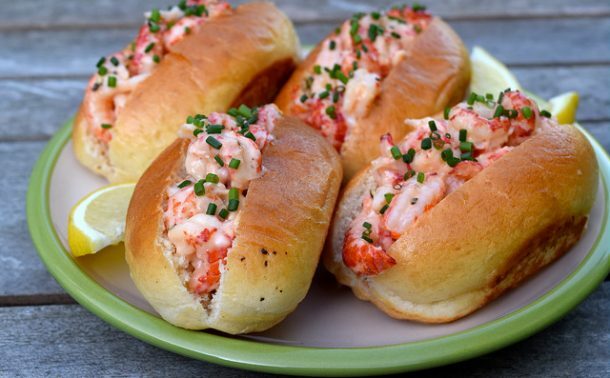 Moving away from the whole treating yourself after work thing, obviously these would be great for a party. My proportions below make 6 devilled egg halves (there is only 5 in the picture because I had a slight accident! 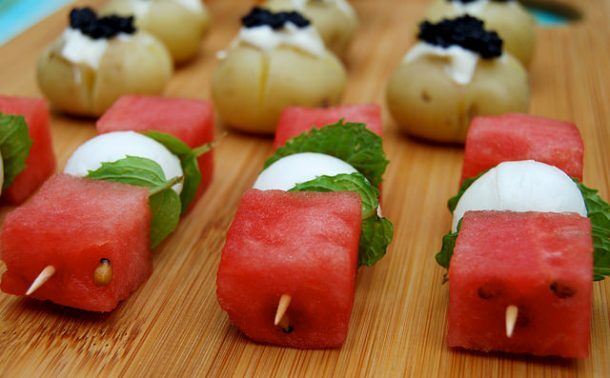 ), and you can easily scale it up to make canapés for a crowd. They make ahead really well, too. 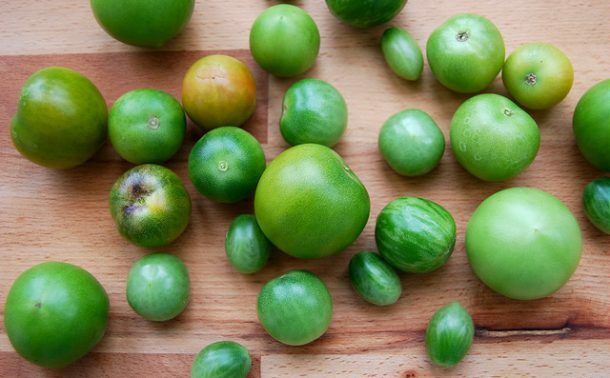 Just keep them in the fridge, and remember to take them out in advance to bring them up to room temperature before serving. Or just serve a couple with salad for an easy yet impressive lunch or starter. 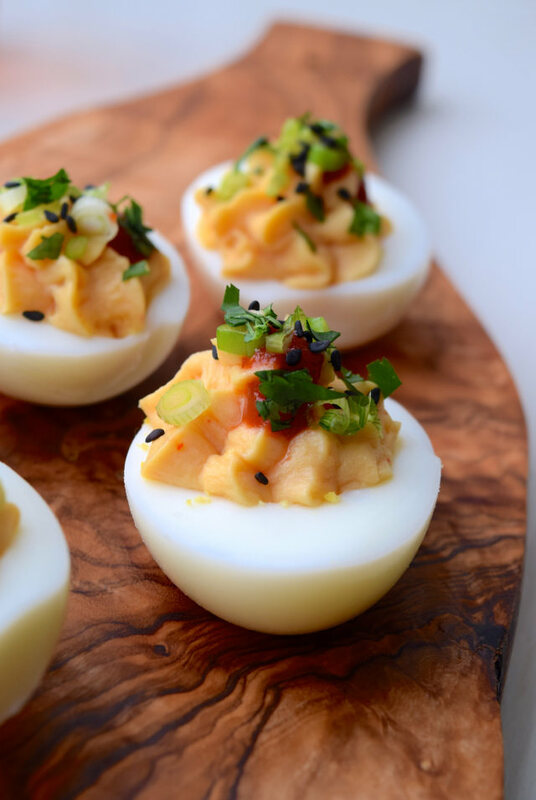 These easy devilled eggs inspired by Asian flavours go down a storm at any gathering I’ve made them for, so make a double batch! Boil the eggs for 9 minutes and let them cool. Peel, and slice in half. Scoop out the yolks into a small bowl. Add the miso, mayo and a squeeze of sriracha and mash with a fork until smooth. Either spoon back into the hollows of the eggs, or pipe using a piping bag fitted with a big star nozzle. 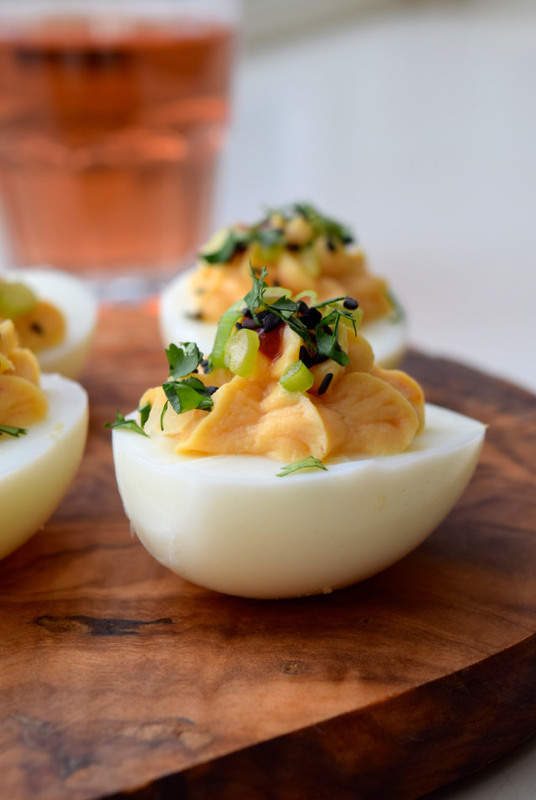 Decorate each egg with a blob of sriracha, and a sprinkling of spring onion, chopped coriander and black sesame seeds. In all honestly, thank you. Regardless of if I’m at work, or at home, or on holiday the one thing that makes me me is that I’m a writer. I like telling stories, and it means the world to me that even one other person reads them, let alone all of you. This blog is the place that I get to come and share photos and tell stories, and I love that you are all here for me to share things with. So thank you, and here is to another year.